“Sound Transit believes that identifying a Locally Preferred Alternative early may help expedite the project. The City still has concerns about Sound Transit’s alignment options in some parts of the city, including SODO, Chinatown/ID, and West Seattle,” wrote Durkan spokesperson Chelsea Kellogg in a follow-up statement to STB. The Mayor has argued in recent weeks that the Bellevue EIS process should serve as a model for the West Seattle and Ballard extensions, despite the multi-year delays caused by Bellevue’s fraught design and public comment process. The Mayor’s office disputes that interpretation of the Bellevue comparison. “The Mayor’s reference to Bellevue was that the City of Bellevue and Sound Transit were ultimately able to work together to come to agreement on a final alignment and cost-sharing agreement,” Kellogg wrote. The Mayor and City departments also spelled out their cultural, environmental, and land use concerns in a 13 page memo following the letter. Notably, the memo calls for Sound Transit to design alignments, construction staging areas, and station locations with TOD and affordable housing in mind from the start. 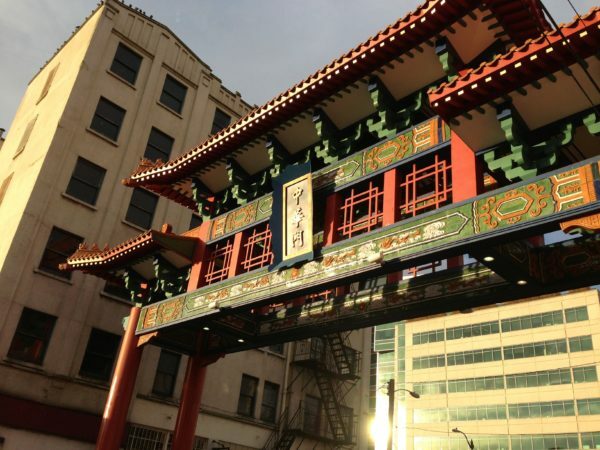 The memo cites Youngstown and Chinatown-International District (CID) as particular areas of concern on the question of racial displacement and gentrification. This seems transparently political by Durkan, seeking to get future votes of any groups dissatisfied with whatever comes out of the process. The tell is that she only asks ST for additional study / problem solving without committing her administration to any particular position that someone might find objectionable. I grow increasingly upset with the mayor’s lack of leadership on these key transit issues by the day. It’s clear we need to ensure she’s a one-term mayor. She has decided not to carry the flag of a green, safe, transit oriented city further, and has halted plans that voters worked hard to achieve. The mayor seems oblivious to transit concerns, just as she seems oblivious to biking concerns. She is focused solely on disruption due to construction, not whether people can get anywhere. None of the level three alternatives for Ballard or Interbay are better than the representative project. All move the Interbay station several blocks away from Dravus, making it more difficult for pedestrians coming *from all directions* (which isn’t easy to do). It also makes it harder for buses to serve. At best, the alternatives in Ballard are as bad as the representative project, and at worse they are, well, worse (at 14th). There is nothing like this: https://seattletransitblog.com/2019/03/21/a-better-ballard-option/. This idea — serving the cultural, employment and population heart of Ballard — should be studied. Whoa, Ross. Check it out. We are in 100% agreement on something!!! Cool. I wish it was over something more hopeful. I too agree with the general concept. From the comments on the linked story it appears that the sewers would make it hard to accomplish. So far as the new section of IDS, if the International District merchants want to kill Fifth Avenue, pay for the additional $400-500 million with a LID there. There is an obvious best alignment in the ID, so of course we need to throw more process at it instead of trying to mitigate impacts. It fits the pattern that areas where better transit options are at issue get no conideration at all from the Mayor. If you care about active transportation, transit, and housing it would be hard to find an argument for re-hiring this Mayor. I am sadly coming to that conclusion. Unless there is some sort of reversal (which would likely come from the people she has hired) we will have to endure someone who doesn’t understand these issues, and is unwilling to delegate to folks who do. Clearly, Durkan is not a friend to pedestrians, bikers, transit users, advocates of being safe while driving, or those who want to mitigate global warming. But housing? Didn’t she sign HALA? I would point out that Durkan’s strongest ally on the city council — Lisa Herbold — is up for re-election this November. And she is actually bad on housing (and biking, and walking, and transit). And Herbold is a possible replacement for Rob Johnson on the ST Board. That decision is primarily up to the County Executive. As a constituent of Herbold’s, I beg the Executive not to appoint Herbold to the ST Board. Herbold is not the strongest ally of Durkan, at least in most city politics. Bagshaw and Harrell are much closer to Durkan on issues like the Amazon tax, and they’re all extremely underwhelming (at best) on transit and land use. She just announced she wants to revisit parking minimums for DADUs. So far, she loves transit/bikes/housing – unless there is literally any opposition. I was satisfied with every one of Schell, Nickels, McGinn, and Murray: they all improved transit to some extent in their own way. Durkan has yet to articulate any new idea that would improve bus or rail transit in Seattle more than her predecessors had already planned. I’m not even demanding something big or finished, just some new idea that would improve transit mobility somehow. The only thing she’s really done is free passes for public-school students, and that doesn’t make the transit network more useful to the general public. You won’t see people driving less because some other people got free passes. I’ve started thinking about alternatives to Durkan, and I never though that about any of the four previous mayors. So she’s on shaky grounds with my vote. And if she really does represent the majority, who are more concerned about trains’ impact than on better mobility and on keeping single-family neighborhoods and parking lanes sacrosanct, then that’s a bad sign for the city’s future. Hopefully we can fend off all these things in the next mayoral and council elections. Who will get to the ballot? How did Durkan rise from nowhere to become Mayor? You will get to choose from the menu someone else has prepared. A lot of mayors come from nowhere; it’s not a higher-level office where people usually come from a previous elected position. Durkan won because a lot of people saw her as a pillar of stability and she had business experience. The Seattle Times endorsed her, and that influences a lot of people. There had been widespread grumblings about McGinn’s environmentalism and (alleged) uncooperativeness with others, and grumblings about Murray apparently viewing the position as just a stepping stone to the governor’s race, and his ultra-liberalism, and his personal controversies. So many people were looking for a return to normalcy, and thought they saw that in Durkan. Cary Moon? You have to be kidding? Please have someone with executive experience AND a commitment to urbanism run against Durkan. Yes, Moon is “right on the issues”, but she’s basically a rich dilettante. Seattle needs someone who is willing to take a STAND on something. Mosqueda would be the obvious choice. She represents the entire city on the city council, and is thus way more qualified to be mayor than Durkan was when she took office. She seems more committed — and just plain more capable — than Durkan. I think it is quite possible that Durkan has her heart in the right place, but is simply not as smart as Mosqueda. The idea of Mayor Mosqueda gets me really fired up. She is one of the only local politicians I could imagine rivaling McGinn for strength on policy when it comes to housing, transit, bikes, pedestrians. And she pairs the policy chops with a better political touch and amazing ability to build coalitions. She is seriously awesome. As for Durkan, I’ve been disappointed. It seems that reactionary neighborhood and “pro-business” groups have her ear. Her lukewarm staying the course on HALA seems borne more of inertia, but on every transit/bike/housing agenda item not already nearing completion, she has balked at progress and pulled on the reins. She’s set bike safety back by several years, and seems to kowtow to drivers at every turn. She brought in a viadoom czar purely dedicated to helping drivers, and has left bus commuters on SR-99 routes, both from north and south, out to dry with horrendously worse downtown congestion than before, because car drivers’ time is 100 times more important than that of bus riders. She killed the CCC and didn’t turn over the center lane right of way to the 30,000 daily WS bus commuters it could help, which even anti-urbanist Lisa Herbold begged for in a letter to SDOT. But again, for Durkan, it’s more important to save the time of a handful of selfish SOV drivers than 30,000 bus commuters. I truly don’t know what someone’s rationale is for a decision like that. I know the typical car commuter is probably about 50% richer than the typical bus commuter, so I could see why a rich person might think that makes their time 50% more valuable, but why would that make their time 100 times more important? Is it a windshield perspective where she only ever drives so she can’t empathize with bus riders? Or she figures that we don’t value our time, so it’s ok to delay us infinitely to save the time of worthy people who are busy and important enough to drive where they’re going? Or hopefully it’s just ignorance of the fact that tiny changes inflicting the slightest papercut on drivers’ convenience would yield entire human lifetimes of saved bus commuter traffic time every year. A human’s waking lifespan is about 408,000 hours. Every day each of 30,000 bus commuters wastes at least 20 minutes round trip on Pioneer Square congestion, or 10,000 person-hours a day down the drain. With 21 weekdays a month, the congestion in Pioneer Square alone is wasting a human’s entire waking life, cradle to hospice, every 2 months. And she clearly would rather gratify pro-homeless-suffering activists like Ari Hoffman, which is why she rallied the backroom repeal of the head tax. I deeply regret voting for her, which I did mainly because Cary Moon seemed to be even more of a reactionary “neighborhood activist” who would grind HALA to a halt. Thank you, Ross and JTinWS. Well said by both of you. Representing the entire City is the best possible training for the Mayoralty. I thought that Jessyn Farrell was the slam dunk for transit candidate in 2017. She didn’t make enough of a splash in the primary process, though. Mosqueda, all the way. I would be fired up to volunteer for her campaign. She lines up values with policy and action and has a backbone. Re. C/ID. Listen to yourselves. So much obsessing about so little. You all seem to be forgetting that ST’s push for an LPA at this point in the process — before the DEIS — is new, and a major departure from past practice. It’s a strategy for trying to go faster. Fine. Good. We should all support going faster. But these are very difficult issues. 5th Ave is highly constrained. People are nervous about it. Usually the LPA is not selected until after public comment on the DEIS alternatives. It takes a lot for ST partners to get used to such a significant change, because normally each step in the process is taken in light of new technical information and public reaction. Don’t forget these guys have done almost zero engineering on the level 3 alts. It’s been stated that there is an obvious correct answer at the C/ID. Well, leaders in that neighborhood obviously do not agree. The city is saying let’s look a bit deeper at this stuff. You reactions are nearly hysterical: you’re taking the vast leap to label that opposition, or anti-transit? That’s an utterly ridiculous position to take. I happen to agree that 5th Ave is the right answer for that station, but it doesn’t mean ST shouldn’t take a harder look at how to make the options less impactful, or easier to implement without shutting down neighborhood businesses. It’s never a waste of time — especially if you’re ahead of schedule as it is — to take some time to bring people along. More often that investment of furhter itme and study has the effect it strengening buy-in. Don’t be so alarmist. Is this like when the mayor did a “study” on the streetcar? Keep Durkan away from light rail unless you want to see it delayed or canceled like everything else she’s messed with. The Mayor did a study on the Streetcar because she inferred, accurately, that the price tag that had been shared was half-assed. She was 100% correct about that. If she had allowed the project to march ahead, it would have run out of money far short of the finish line. Light rail also has much larger cost overruns. So does every single other capital project, including buses, and the big bertha tunnel. The issue is that every project that Durkan touches, streetcar, light rail, head tax, bike lanes, goes down in flames. You can agree or disagree with the project itself, but you have to recognize the pattern. There is no problem too small for it to become insurmountable once Durkan becomes involved. In fairness to Durkan, the cost overruns from fantasy cost-estimating (streetcar, bike lanes) or fantasy agreements for disruptive light rail aerial proposals have been fully attributable to others who created them and not to Durkan. She has simply been the budget-conscious parent in a room that other fantasy-chasers created. yes, Durkan was correct on the CCC Streetcar. Now, she has challenged the Council to fund it; hopefully, they will not. At least, it has been delayed until after ST2 Link is built out. Durkan was also correct to delay the Murray-Kubly two-way cycle track on 4th Avenue until after Northgate Link. Note that the Murray-Kubly 35th Avenue NE striping had narrow lanes south of NE 65th Street. I agree with RossB re ST3 Link and Interbay. Durkan is correct that the CID choices are difficult. Mitigation is key. It’s way too much to cram into one EIS process. Details get overlooked. Meetings are focused on one part of the corridor, so there is basically just one public meeting on each station in each round. There remain many other issues. The Downtown subway portion still is devoid of station diagrams or visualizations. Other controversies will emerge. I’m disappointed that the response is only for two stations. It’s clear that the reaction here is political as opposed to rational. A rational response would have addressed examining each station under a microscope because issues at other stations are quite likely. No leadership on display here. The mayor is treading water so that she can pivot any political direction she wants once the final route is chosen. She’s pandering to a few status-quo interests that have traditionally been seen as what the majority of voters want. The situation has been changing in the past few years as supporters of transit and urbanism have gotten more numerous and louder and flipped some council seats. The question is whether this is a decisive trend or a short-term variation. Durkan is assuming it’s a variation, or that improving transit access and walkability doesn’t require concrete things, or that somehow it will all work out. So it all depends on which way the votes keep going, toward the traditional status quo or toward an urban-minded vision. Hopefully the latter. This is so frustrating – the segment where the mayor should be stepping in is Ballard, because a station at 14th would be terrible for future riders and waste a ton of money on a bad alignment. The ID and West Seattle alternatives are actually pretty good! When is the next mayoral election again? This administration is going to single handedly ruin decades of work. How about electing Durkan Commissioner of Public Lands? Cancelling everything we’re doing with the state’s tree farms may feed many birds with one seed. Refinements for the Midtown and SODO segments too? Does that mean a reopening of the First Hill Access issue? Does that mean a reopening of SODO level cross-platform transfers? I’m not sure why these are called out. There must be a back story somewhere. Yes, what does it mean in Midtown? It must be in that 13-page letter that was mentioned. Where is that? Given the man made and geographic obstacles in reaching west seattle, are we sure light rail is the best choice? A tri cable gondola from near the junction with a stop at delridge and then over harbor island to the existing link station in sodo would connect west seattle for a fraction of the cost of light rail. Also, a line could be run from north admiral to sodo as well. It seems the only tool being looked at is light rail which is poorly suited for this line…. Way too slow for a three mile journey. Tri cable systems can operate at 15 mph. A 3 mile line would take 15 minutes with little to no headways. What is the quoted time for the light rail proposal? And a light rail train can run 55 mph. I don’t have the number for downtown to West Seattle, but downtown to Lynnwood is 28 minutes, and downtown to West Seattle, Burien, and Renton is 40-45 minutes. What are the headways for the west seattle proposal? Tri cable systems have little to no headways. ST hasn’t been very precise but the current line is 6 minutes peak, 10 minutes off-peak, 15 minutes after 10pm. the 6-minute peak is temporary; it’s expected to go back to 7-8 minute peak. The second and third lines will be similar, although ST hasn’t committed to an exact frequency yet. But headways will probably be 6-8 minutes peak, 8-12 minutes off-peak in West-Seattle, and half that where the Red and Blue lines overlap between Intl Dist and 128th Street in Everett. Fil, I’d be 100% for a gondola up to First Hill. But it’s a LONG WAY from The Junction to Fifth South and Lander, including a 150 foot high crossing of the Duwamish Waterway. Yuk! “We” aren’t sure about it, or at least there’s disagreement among transit fans. Seattle Subway and I think the STB leadership support light rail in West Seattle, while some commentators argue that an open BRT network would serve West Seattle more effectively and cost-effectively than light rail, even with the cost of upgrading street lanes for transit priority. The argument is that most West Seattlites don’t live within walking distance of the stations so they’d have to take a bus to Link, and the part that Link serves is the same part where the buses can travel fastest, so you’re converting the part that has the least benefit on travel times rather the parts that would have the most benefit. Their BRT plans assume lane priority on West Seattle streets, a queue jump to the bridge, transit lanes on the bridge and south 99 if necessary (although they argue it isn’t necessary), and a new downtown bus tunnel instead of a Link tunnel. Gondolas have been brought up separately for a variety of corridors, especially Queen Anne to Capitol Hill. There have been a couple suggestions for a gondola somewhere in West Seattle. Gondolas’ advantages are hill climbing, being separate from traffic, and being inexpensive to construct relative to elevated light rail or tunnels. Their disadvantages are slow speed and limited capacity. And some people don’t want anything overhead because it spoils the view. Several huge tri cable systems have been built in europe and asia. They can go 15 to 18 mph and serve 3000 people per direction per hour. An “as the crow flys” route would be shorter than light rail, have little to no headways, be a fraction of the cost and could make the city views even more interesting. Fil, the frequent headway only matters if the gondola ends where people want to go. At NEITHER end would this one. At the West Seattle end, yes, there would be some walk-up patrons. And Starbucks would contribute a few folks walking up to go home. But fully 95% in WS and probably 99% at SoDo would have to wait for the light rail train at the other end, wiping out the value of the frequent headway, as Mike pointed out above. If it went all the way downtown, OK, maybe. But not just to SoDo. Oh, and just to be clear, the delay would be true at the SoDo end for those returning home, too. That’s because an LR train would debouche 1/10 of the people headed to West Seattle taking the train during the peak hour every six minutes. But the gondola cars can’t hold sixty people, so fifty would have to wait another minute, 40 two minutes, 30 three minutes, 20 four minutes and the last ten five minutes. If they’re headed for a bus at the Junction, then either the first group waits 5+ minutes there, the next 4+ and so on or SOME groups miss the bus and wait a full headway for the next one. Adding a third vehicle to a two seat trip always bungs things up. If it’s necessary because of a “diagonal” trip across a grid well that’s the way the cookie crumbles. But deliberately adding a third vehicle in the middle of a generally “straight” trip only increases the irritation of riders. It makes sense if the seats are Greenwood to downtown, downtown to Bellevue, Bellevue to Newport Hills or Crossroads, because each seat is several miles except maybe one. But that argument breaks down if the seats are less than 2-3 miles, because then you’re spending as much time boarding, walking, and waiting than you are riding, and in a worst-case scenario with bad transfers you may spend 20 minutes riding and 30 minutes boarding and waiting. My rule is “don’t force people to transfer twice within two miles”. And we haven’t come up with an adequate transit solution for trips like from Pine & Bellevue to Swedish First Hill or Swedish Cherry Hill which go across the bus routes and each segment is only 5-10 minutes but the waiting is 10-30 minutes. There’s also the issue of getting ST to agree to a gondola. ST has persistently preferred technologies that have been widely deployed in the US for decades. It’s very reluctant to be a pioneer, especially after the monorail fiasco. So it sticks to traditional solutions. A gondola may be ideal but it’s another thing to convince the ST board and Seattle’s mayor and city council of that, and we don’t have a private philanthropist to fund it. Very low headways are appealing, but almost everybody will have to transfer in SODO and then they’ll lose any benefit the ultra-frequency gave them. I’d suggest looking at the sister cable-technology, like the one at BART-to-Oakland-Airport. It makes that 3 mile trip in 8 minutes, much faster than a gondola. The tracks are see-through too, which is much less obtrusive. I’d also consider setting up one major West Seattle Station, and having cable lines radiate from that. That would really shorten the distances making the slowness less burdensome. An unobtrusive station could not only be added right at Alaska and California, but the cost savings could be used to have a line to High Point (extendable to Westwood) or maybe to Admiral (extendable to Alki). Still, that wouldn’t solve to big elephant in the room problem: the location of the Youngstown/ Delridge Station. The problem there is that the effort to protect Nucor and West Seattle Golf Course results in demolishing the entire neighborhood in between. I can’t blame the Youngstown residents for feeling resentful, as the taken houses list grew substantially after ST3 and any alternatives that may have saved their homes were quickly dismissed. Not to defend the mayor, but remember she is a lawyer. Getting community buy-in lessens the chance for lawsuits/delays. (Missing link anyone?) So, ask yourself, who is likely to sue? Who has the resources to drag this out? Answer those questions, I think you get a better understanding of what is happening. That’s a great point! With something so massive and disruptive, a lawsuit or environmental challenge is almost a certainty. It’s just one more reason that three EIS statements — north of Westlake, south of SODO and in-between — would probably make more sense. As litigation happens, each one would clear at a separate time and each segment would have merit if the others don’t open simultaneously. Otherwise, just one station area group could hold up the whole thing from Ballard to West Seattle. The first project won’t start construction until the mid 2020s so there’s several years’ buffer before it starts risking delays. It’s waiting until 2024 when the ST1 and ST2 tax streams will be available, and the money also trickles in so it won’t all be done at once. ST’s plan is for West Seattle to SODO in 2030 and DSTT2 and Ballard in 2035. West Seattle is first because politicians live in West Seattle and it has a sense of enttlement. A Ballard stub to Smith Cove doesn’t make any sense because everybody would have to transfer to the D for downtown and the D is coming from Ballard anyway. So the only possibility for three phases would be West Seattle, downtown, and Ballard. If the EIS takes so long that there’s schedule risk, then ST might split it anyway. And it may do it in two or three parts because I assume each one would be a separate application for federal grants. In any case, this is not the EIS; it’s the preparation to determine what scope the EIS should study. Oh, as to why we’re doing them so early and together, it’s because ST wants to. it thinks people would feel more comfortable with certaintly sooner and want to give all their opinions now.